Desserts are ever so tempting, aren’t they? At AFN we believe that desserts shouldn’t be off the table just because you want to eat healthier or because you have food restrictions. There are workarounds. And there’s not one dessert for everyone. From vegan, to lower sugar, to vegetable additions to desserts (yes, it can be tasty), here are some desserts we have compiled with some help from our audience. Mix all the ingredients together except for the chocolate chips. On a pan start forming flat patties with the batter. Make sure the balls are completely closed. Put in the oven for 20 minutes (check on it every once and a while to prevent possible burning). Preheat oven to 350 degrees F. Line a 12 cup muffin tin. In a medium bowl, whisk together applesauce, sugar, oil, eggs, oil and vanilla. Add grated zucchini and mix. In another larger bowl, whisk flour, cocoa powder, baking powder, baking soda and salt until blended. Add chocolate chips and mix. 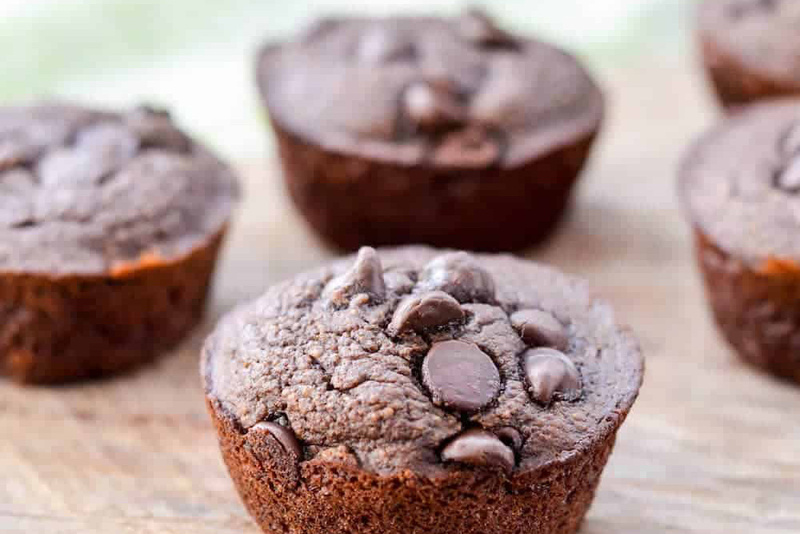 Spoon batter (Tip: we like to use an ice cream scooper for this part) into muffin cups. Bake for 20 minutes or until a toothpick comes out fairly clean. Mix all dry ingredients. Add eggs and oil and mix well. The mixture should have a thick consistency. Turn into a bowl and stir in grated carrots, pineapple and nuts. Pour batter into greased cake tin and bake on middle rack of oven. Bake in a greased and floured cake tin (or approximately 2-3 small cake tins) for approximately 1 hour or until toothpick comes out clean. The baking time for the small tins will be shorter. This recipe can easily be doubled and the cakes can be frozen. Mix the dates in a food processor until dates are in small pieces. Add peanut butter, oats, vanilla and seeds. Mix in food processor. The mixture should be thick enough to form into balls without being too sticky. If it’s too sticky, add 1-2 more tbsp oats. If mixture is too dry, add 1-2 more tbsp peanut butter. Add the chocolate chips and mix gently by hand. We love to podcast. It’s a great way to get information to our audience, inspire conversation and create a more intimate communication experience. For listeners it’s great because you can listen to podcasts whenever and wherever, while multi-tasking or just lounging around. For those who are new to podcasts or who want more information about how to download podcasts, here’s an informative article. Visit the podcast page on our website, press play and stream the podcast. Visit AFN’s podcast host, Spreaker and stream or download a podcast. Download a podcast app as further explained in the article referred to above. No matter the listening method you choose, we hope you enjoy the experience. This week saw the publication by the Canadian government of the latest version of Canada’s food guide. The four food groups are gone. Instead, the guide promotes the regular intake of vegetables, fruits, whole grains and protein foods. For protein foods, it is suggested that plant-based foods be consumed more often but the guide still includes fish, eggs, dairy and lean meat in the list of such foods. As for beverages, water should be the beverage of choice according to the guide. And of course, put the brakes on eating foods high in sodium, sugar and saturated fat. The guide also places importance on food skills and literacy. It promotes more cooking at home, and reading food labels to help you make more informed food choices. Regarding that last point, I think it’s never too early to start reading food labels. I was pleasantly surprised the first time I saw my tween compare labels on our cereal boxes. One issue that I have read about repeatedly in articles concerning the new food guide is that of food insecurity and that healthier food tends to be more expensive. While there is truth to that when it comes to fresh fruits and healthier consumer packaged goods, cooking healthy at home doesn’t have to be expensive. You can’t beat $1 for a can of beans or chickpeas! To celebrate the new food guide, I have included an easy hummus recipe below and the link to AFN’s Roasted Chickpea video on our website. *If you are allergic to sesame or don’t have tahini at home, add some more olive oil or water to get a creamier texture. Drain chickpeas setting aside ¼ cup liquid from the can. Combine remaining ingredients in a food processor. Add the liquid from chickpeas. Process for 3 minutes, until smooth and creamy, scraping down sides of bowl as needed. Serve chilled. 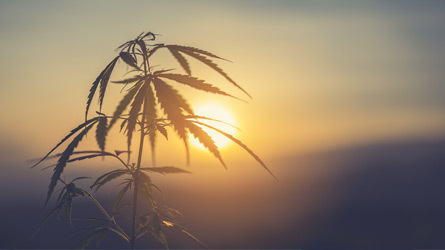 This week saw the the publication by the Canadian government of the latest version of Canada’s food guide [JP-link to the food guide that’s in the AFN Resources section]. The four food groups are gone. Instead, the guide promotes the regular intake of vegetables, fruits, whole grains and protein foods. For protein foods, it is suggested that plant-based foods be consumed more often but the guide still includes fish, eggs, dairy and lean meat in the list of such foods. As for beverages, water should be the beverage of choice according to the guide. And of course, put the brakes on eating foods high in sodium, sugar and saturated fat. The guide also places importance on food skills and literacy. It promotes more cooking at home, and reading food labels to help you make more informed food choices. Regarding that last point, I think it’s never too early to start reading food labels. I was pleasantly surprised the first time I saw my tween compare labels on our cereal boxes. 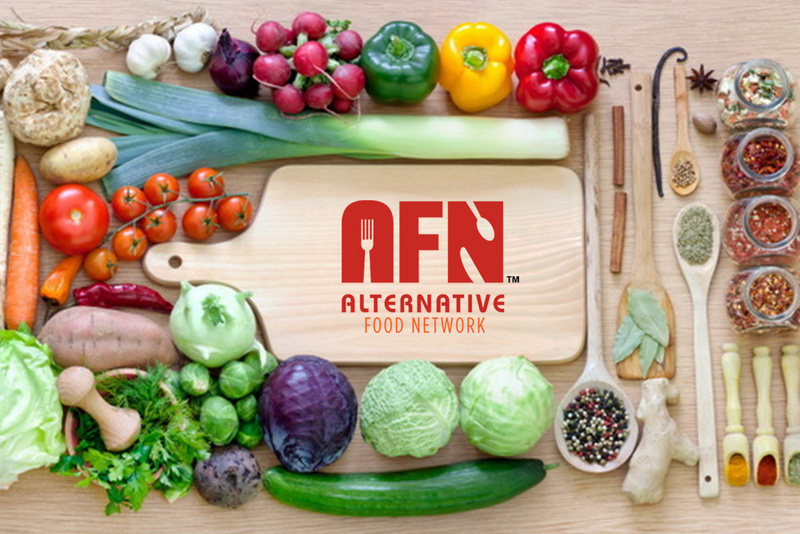 One of AFN’s most popular podcasts is The Inflammation-Food Connection. According to naturopath Dr. Audrey Sasson, inflammation is essentially the body’s response to any damage, internal or external. In a Q & A published by Harvard Health Publishing, Dr. Deepak Bhatt, M.D., M.PH. states that inflammation is the body’s natural response to protect itself against harm and there are two types: acute and chronic. According to Dr. Bhatt, acute inflammation occurs “when you bang your knee or cut your finger. Your immune system dispatches an army of white blood cells to surround and protect the area, creating visible redness and swelling.” Dr. Bhatt continues to explain that chronic inflammation can occur “in response to other unwanted substances in the body, such as toxins from cigarette smoke or an excess of fat cells”. In AFN’s podcast, Dr. Sasson asserts that one’s diet can truly help combat inflammation. Examples of inflammatory foods are dairy, alcohol, artificial sweeteners, processed meats, foods high in trans and saturated fats and refined sugar. Ultimately these are the foods we should try to avoid to decrease inflammation and the negative effects that come along with it. Instead, Dr. Sasson suggests to opt for antioxidants as they help counteract inflammation. Having more whole grains and “the good” fatty foods such as salmon and olive oils are also an excellent choice. In Canada and the United States, foods that contribute to inflammation are seen more on peoples’ tables. Western diets are higher in omega 6’s and low in the essential omega 3’s, and according to Dr. Audrey, this needs to be the opposite. Whether you have irritable bowel disease, sore joints or skin problems, take a look at your diet. Perhaps some changes in the foods you eat will be beneficial. Love your body and watch what you put in it. Event and party planning can feel overwhelming, especially if there are guests with food restrictions. Here are some tips for both the host and the guest. If a guest has an anaphylaxis reaction, immediately call 911. Err on the side of caution by not having the specific allergen present, if possible. Alert caterer/staff/servers about guests with food allergies. Provide a similar looking food for the child with a food restriction. For example, if guests are having cupcakes and a child has celiac, purchase a gluten-free cupcake for that child. Consider a party planner for a larger event. Inform your host of your food restrictions in advance of the event. Don’t be shy. 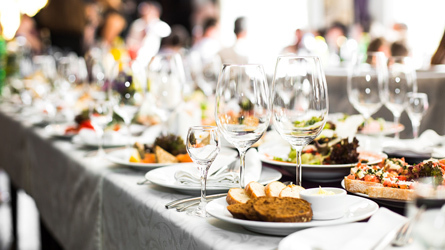 If you have severe food allergies and are worried about the host not being able to adequately accommodate your food allergy, consider eating before the event. Having a food allergy is never something to be embarrassed about. Always carry epinephrine if you have a food allergy. All content provided or opinions expressed in this blog are for informational purposes only and are not a substitute for professional medical advice. Please seek advice from your doctor or other qualified healthcare practitioner. Food is fuel and for athletes this concept is extremely important. 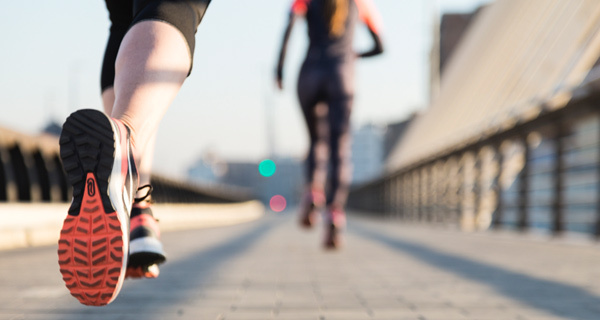 Whether you take part in sports recreationally or you’re a weekend warrior, proper nutrition is crucial to success. 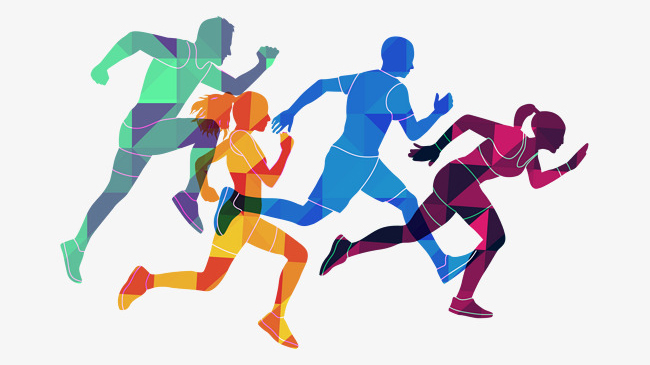 “Eating a balanced amount of carbohydrate, fat and protein is important to play sports at your best” according to this article published on the Dietitians of Canada website. Athletes often push their bodies past what might be physically possible, and they require foods with high nutritional density for peak performance. It is also important to focus on real foods. According to Olympic athlete Meagan Duhamel who was interviewed by Alternative Food Network on its podcast about sports nutrition, this means having foods with high nutritional content first (things like quinoa or legumes) and not focusing on foods that might fit the bill in terms of caloric or fat intake but have no real nutritional value. It has become somewhat of a trend for athletes to adopt a vegan diet and in AFN’s podcast, Duhamel talks about her specific needs as a vegan athlete and someone who is training. She also talks about the use of supplements but stresses real foods first, supplements second. That being said, there are certain supplements that Duhamel herself takes such as iron and B12. If you are a vegan athlete, it is important to know that the type of iron offered by plant-based foods is less absorbable than the iron that comes from animal-based foods. According to Duhamel, while she eats vitamin C-rich foods with iron-based foods in order to increase absorption of the iron, she also takes an iron supplement. Similarly, people and specifically athletes who are vegan should consider supplementing B12 as this vitamin is not abundant in plant-based foods. Training differs everyday for athletes and it’s a good idea to plan recovery snacks and meals. Recovery foods help to reduce dreaded inflammation and can help repair sore and tight muscles. Duhamel says foods with flavonoids – what gives fruits and vegetables their colour – help to reduce inflammation and strengthen collagen in the body. Turmeric (curcumin) is also an excellent anti-inflammatory that can help with pain. Some of Duhamel’s favourite snacks post training are pineapple with hemp seeds and sweet potatoes. Hydration is a key component in sport. Duhamel recommends water or coconut water. Particularly if you sweat a lot in your sport, Duhamel also recommends adding some salt to water in order to add sodium to help replace lost electrolytes. And, beware of sugary sports drinks filled with artificial sugars. You can find the full podcast on Alternative Food Network’s website or click here to listen. Listen to “L’alimentation idéale pour un cerveau en santé” on Spreaker. Peu importe votre âge, il n’est jamais trop tôt ou trop tard pour commencer à manger de façon à soutenir nos fonctions cérébrales. Dans cette baladodiffusion, Dr. Guylaine Ferland, Ph.D. se joint à Stéphanie Julien, ND.A pour discuter de ce que nous devrions manger pour un cerveau en santé. À quel âge devrions-nous commencer et si nous le pouvons réellement, comment améliorer nos fonctions cognitives en changeant notre alimentation? You never know what can happen when you meet someone at a conference or networking event. There I was, standing in line for my guilty pleasure to see cast members from the hit tv show This Is Usat South by Southwest in Austin when I struck up a conversation with the person in line behind me. It turned out we were both from Canada; he from Montreal and me from Toronto. We talked about what we were doing at the festival. In our conversation I mentioned that I was contemplating producing some French language podcasts and he told me he knew a great person with whom I should speak. Fast forward three months. I’m writing this blog from the balcony of a lovely European-style hotel in Montreal after overseeing the recording of three French language podcasts for AFN. Not only did the gentleman in line with me that day in Austin record and edit the podcasts, but the host is indeed that same person he had recommended to me three months earlier. 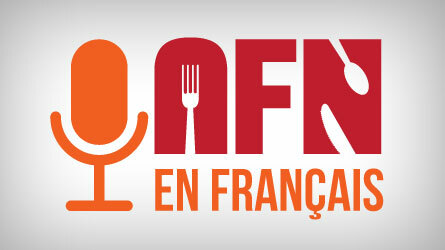 For all of you French speakers out there, we hope you enjoy these podcasts. Click here to listen to the first one.